Keep in mind that all Fusers Reserve are limited production items. more will NOT be coming! 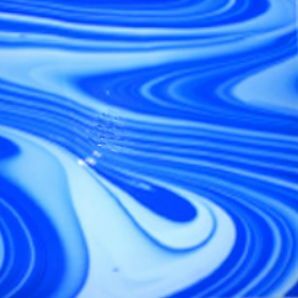 SYSTEM 96 FUSERS RESERVE are amazing limited production runs of wild and unusual styles of fusible glass. Sold as on line as 8x12 sheets. Larger sheets are available. 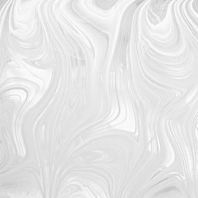 If you need larger sheets, please call our order desk at 800-828-7159 for assistance. Better yet, stop in our showroom to see what is available. 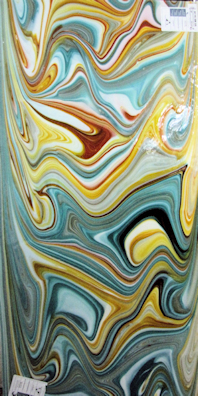 There are many more colors in our showroom, some in very limited quantities! This glass appears to be simply White opal at first glance, but pair it with System 96 Red Reactive sheet glasses and accessories (frits, stringers & noodles) containing Tin, suddenly you've got either the signature reactive Burgundy Red, shades of Pink - or both! 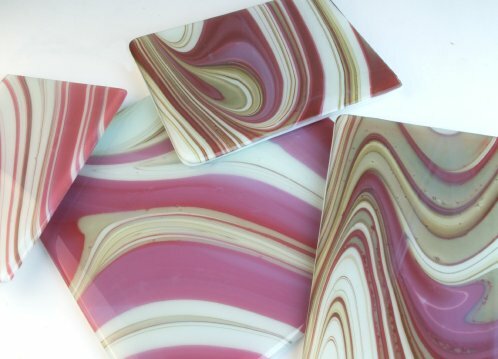 This Tin-based glass appears to be a Clear on Clear OpalArt (or Baroque), but after fusing with Copper bearing Blues and Greens, you'll find that lovely reactive Burgundy Red appearing in the pattern of our infamous swirling OpalArt. 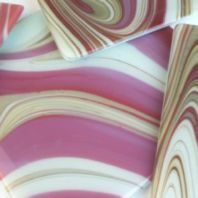 Or, pair the two new Fusers' Reserves reactive glass together and create your own OpalArt in lovely shades of Pink and Beige as in the photo above. 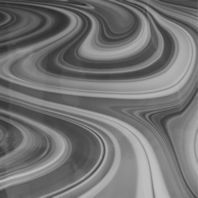 NOTE: the top-side of the Reactive OpalArt must be placed against the copper-bearing surface. Since these new styles work a bit differently that you might expect, Spectrum has terrific instructional sheets for you. We highly recommend that you download and read these sheets when you order. That way you will know what to expect when using these new Fusers Reserve glasses.  Looks a lot like plain white opal, but you will notice one surface has a soft satin texture (helps keep this glass separate from your regular white opal). Use with any Reactive Glasses that work with copper bearing glass. 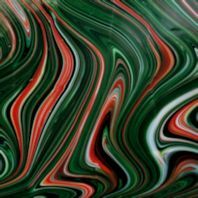 The bold swirls of color of Opal Arts give you so much to work with. These are all System 96 colors and these are all available in limited quantities. See a style you like? Now would be the best time to buy! Peacock green opal with orange and white opal swirled through. Photo shows a full 24x48" sheet to give you an idea of the variation you might see. 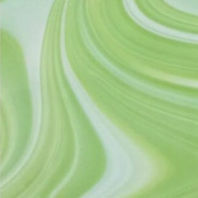 A soft green opal base has white opal swirled across the face. Deep charcoal gray opal base with white opal swirles. .
A best seller this time of year!. 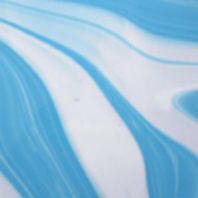 Take the System 96 Turquoise Blue solid opal and swirl dense white across the top and this is what you get. 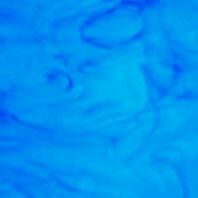 Turquoise Blue is one of System 96's most sought after shades of blue opal. 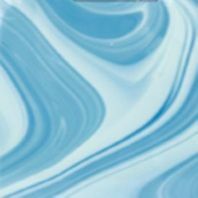 The backgrounds is soft Alpine Blue (SF 238.72) with bold white opal swirls. 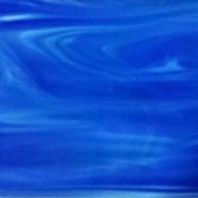 The popular Caribbean blue transparent glass has white opal streaked through.. .
Fire this Fusers Reserve to bring out the metallic Aventurine flakes. This is a deep and dramatic glass. We have pretty good stock, but expect this one to sell quickly! 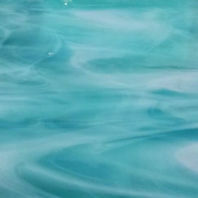 Turquoise blue solid opal is the background for streaks of deep aqua transparent (SF 533.3 SF). Plenty of copper content here for use with reactive materials! Photo is representative of the assortments available. Your package will vary from photo. 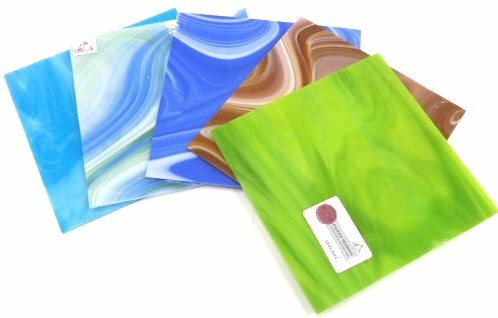 We've included five different Fusers Reserve sheets, 8x8in each. May include Fusers Reserve Streakies and Opal Art and perhaps some Spirit Glass.